N Never gets tired of drawing one of her favorite (and earliest) subjects – Michael Jackson. She’s still a big fan of the “King of Pop”. 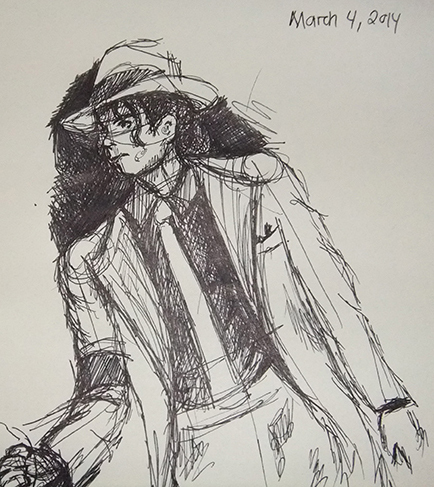 This entry was posted in Artwork and tagged Michael Jackson, michael jackson doodle, MJ sketches on March 7, 2014 by Yami.